Following the conclusion of the Enhanced Defense Cooperation Act (EDCA) and President Obama’s trip to Asia, the United States and Philippines armed forces began an annual military exercise incorporating 5,500 troops on Monday. The exercise is part of the annual Balikatan exercises. According to military officials from the two countries, the Philippines is contributing 3,000 troops to the exercises while the United States is contributing 2,500. Filipino General Emmanuel Bautista notes that the Balikatan 2014 exercises focus on addressing “non-traditional threats.” The primary aim of the exercise is to increase disaster response for the Philippines, which is subject to regular natural disasters, tropical storms and typhoons in particular, and thought not explicitly stated by either military, a second goal is to increase preparedness for defending Filipino territory. 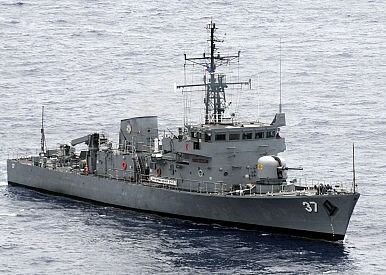 Albert del Rosario, Foreign Secretary of the Philippines, said that the exercises would bolster the preparedness of the Philippines and the United States to deal with tensions “due to excessive and expansive maritime and territorial claims” and “aggressive patterns of behavior” — a thinly veiled reference to China’s increasingly assertive behavior in the region. The Philippines is engaged in multiple territorial disputes with China over South China Sea territories, including the Scarborough Shoal and the Second Thomas Shoal. In addition to these threats, the General notes in the Manila Bulletin that the exercises will also target the “challenge of climate change,” which “became more evident following the destruction brought by super typhoon ‘Yolanda’ in the country in November 2013.” The United States assisted in the disaster relief effort following that typhoon. According to the Associated Press, the Australian military “deployed 65 army soldiers and air force personnel to participate in live-fire maneuvers and charity activities.” It also sent a P3 Orion aircraft for a surveillance exercise with U.S. and Filipino forces. In addition to the United States, Australia is the only other country to have an agreement that allows it to participate in military exercises with Filipino troops in the Philippines. The Philippines is the oldest of the United States’ five treaty-based allies in the Asia-Pacific region, and was once a U.S. overseas territory. The Mutual Defense Treaty between the two countries was signed in 1951 and the two countries have been close military partners ever since. The United States maintained a permanent military presence in the Philippines until 1992 when it was evicted by Filipino legislators; the recent EDCA will see U.S. troops share facilities with Filipino armed forces but not maintain any permanent presence in the country.